Convenient ways to send money to the Philippines. With OBPS, paying for your bills in the Philippines is hassle-free. This is how you can receive funds in Japan from anywhere in the world. Download Remittance Forms and 5 Modes of Sending Money to the Philippines. 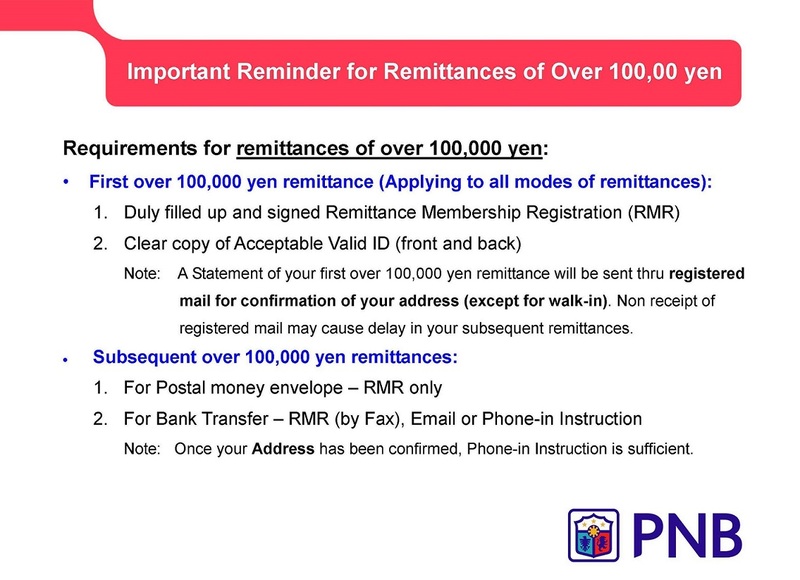 PNB Tokyo Branch Remittance Instruction and 10+ Web Confirmation for registered beneficiaries only. Check here the related charges for outgoing remittances. PNB Tokyo Branch's fast and easy remittance service to China including Taiwan.